2 km from Decumanus Street, Apartment MIP features a grill and views of the back yard. Free car parking is available on site. There is also a kitchen in some of the units, fitted with a fridge and stovetop. Towels and bed linen are featured. Apartment MIP also includes an outdoors terrace. Pula Flight terminal is 45 kilometers away. Apartment Hatman ~0,1 km, Porec price per day from € 67 Positioned just 1 km from the Mediterranean Sea Coastline in Poreč, Apartment Hatman presents self-catering accommodation with gratis wireless internet access and a patio with an outdoor dining area. The heated apartment also comes with an open-plan lounge and dining area. It includes satellite television and a fully equipped kitchen with oven, stove and microwave. Hatman Apartment is a 15-minute walk from the Poreč town centre, and 20 minutes' walk from the UNESCO-listed Euphrasian Cathedral. 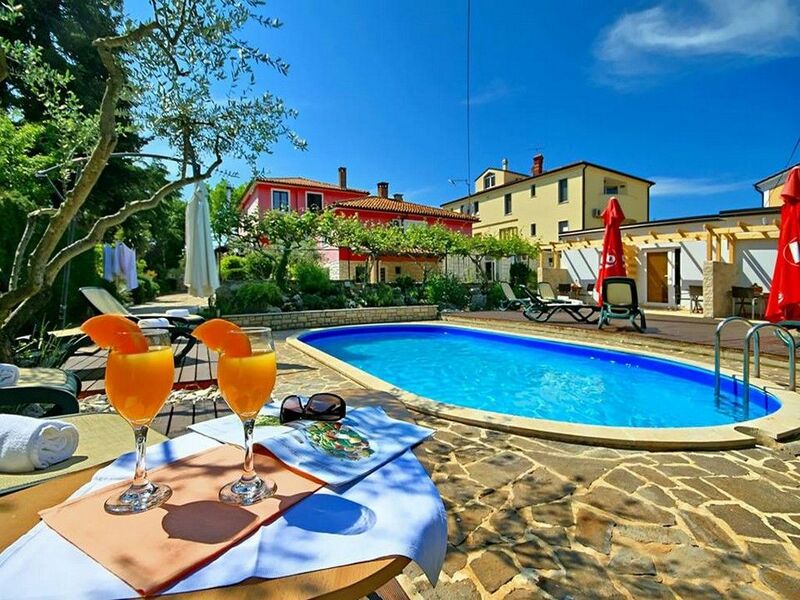 Apartments Olea ~0,1 km, Porec price per day from € 65 Situated in Poreč, Apartments Olea presents self-catering accommodation. 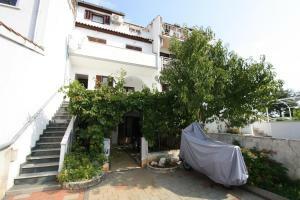 The property presents air conditioning, a back yard and an outdoors terrace. The apartment includes a seating area, a sofa and a TV. There is a fully-equipped kitchen with a microwave and a fridge. If you feel like exploring the countryside, the Euphrasian Cathedral is 3 km from the property and plenty of shops, eating places and coffee shops can be found not far away. Kosinozici ( ~ 4.1 km ): 64+ apartments, 41+ villas. Cervar-porat ( ~ 4.3 km ): 99+ apartments. Gedici ( ~ 5.7 km ): 72+ accommodation units. Vabriga ( ~ 6.5 km ): 21+ apartments, 28+ villas, 5+ hotels. Funtana ( ~ 6.6 km ): 79+ apartments, 19+ villas. Tar ( ~ 7.6 km ): 58+ accommodation units. Beach Donji Spadici ~ 1,4 km from Apartment MIP Concrete beach: ideal for families, awarded with blue flag, with restaurant, with caffe bar, equipped with showers. Excellent choice of watersports. Beach Hotel Laguna Materada ~ 1,9 km from Apartment MIP Concrete beach: ideal for families, with restaurant, with caffe bar, equipped with showers. Excellent choice of watersports. Beach Oliva, Porec ~ 2 km from Apartment MIP Gravel beach: ideal for families, awarded with blue flag, with restaurant, with caffe bar, equipped with showers. Excellent choice of watersports. Beach Brulo, Porec ~ 2,3 km from Apartment MIP Gravel beach: ideal for families, recommended for young people, awarded with blue flag, with restaurant, with caffe bar, equipped with showers. Excellent choice of watersports. Beach Gradsko kupaliste, Porec ~ 2,3 km from Apartment MIP Gravel beach: ideal for families, recommended for young people, awarded with blue flag, with restaurant, with caffe bar, equipped with showers. Excellent choice of watersports. Restaurant S Nikola, Porec Guest reviews: 9/10 ~ 1,9 km from Apartment MIP Address: Obala Tita, Porec. Restaurant Bistro Pizzeria Dino, Porec Guest reviews: 8,5/10 ~ 1,9 km from Apartment MIP Address: R. Koncara, 19a, Porec. Restaurant Tri Bacve, Porec Guest reviews: 9/10 ~ 1,8 km from Apartment MIP Address: via Matteo Benussi n.8, Porec. Cuisine: Italian cuisine. 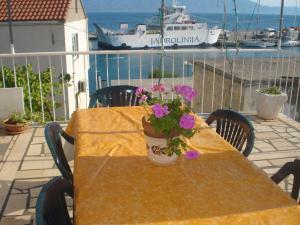 Restaurant Fortuna, Porec ~ 1,4 km from Apartment MIP Address: Rade Koncara, Porec. Cuisine: Croatian cuisine. Restaurant Arlen, Porec Guest reviews: 9/10 ~ 1,1 km from Apartment MIP Address: Vukovarska 26, 52440, Porec. Prices: 62 HRK - 190 HRK. Cuisine: European cuisine, Seafood, Eclectic, Croatian cuisine.